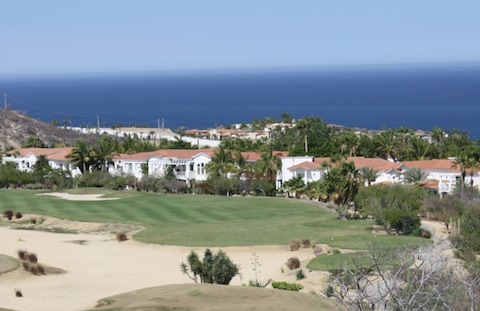 If you are not planning to play golf on your trip to Cabo, you should be. With some of the best courses in Latin American, there are a lot of exciting and different experiences awaiting you where the desert and mountains reach the ocean. Awestruck by the variations and sheer number of championship courses in one spot (there are 5 Jack Nicklaus signature courses! 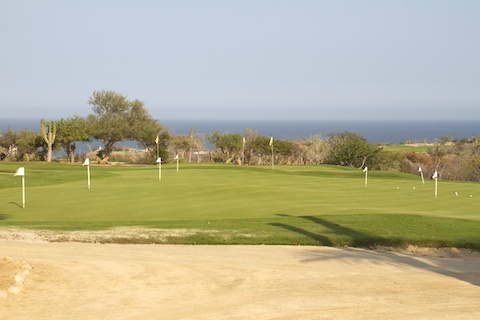 ), we decided to visit the golf courses in Cabo to get an idea of why this location is so perfect for golfers to visit. 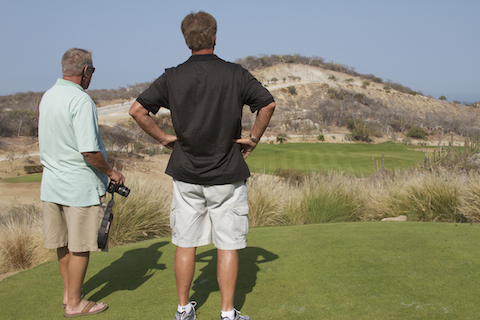 Complete with our cameras, we set out on our adventure into the world of Cabo golf. 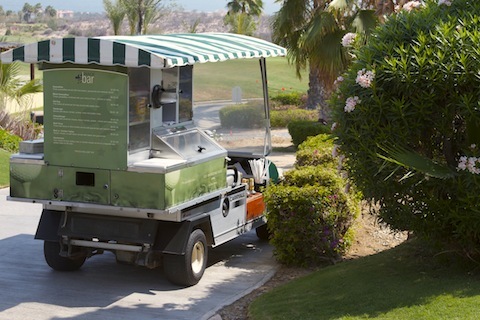 Whether it is desert landscapes or breathtaking ocean backdrops the golf courses all have a special charm. There are even several different grass surfaces to choose from. We checked out expensive courses to budget friendly public courses. Playing golf in Cabo can be expensive ranging from just under $100 for twilight to $300 in prime season. Most courses have multiple price structures that can vary widely depending on the season and the time of day. 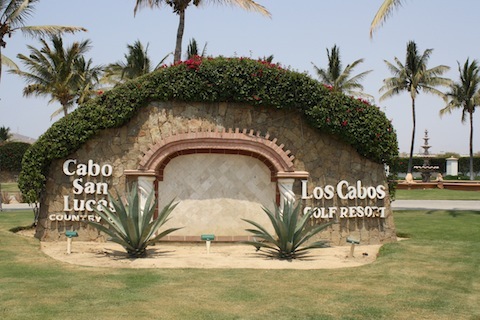 As we began our visits to the Cabo golf courses, we found that they had a lot of similarities. 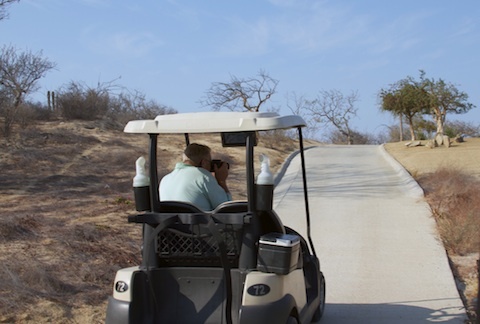 Here’s our version of playing golf in Cabo – via our cameras! 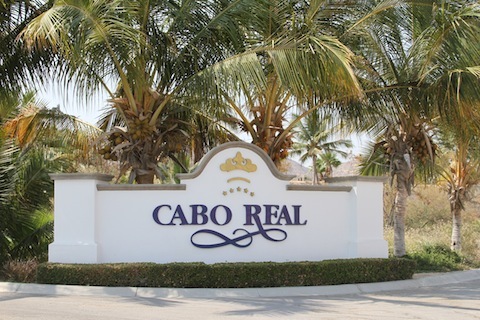 Our journey starts with the closest golf course to Cabo San Lucas – the Cabo San Lucas Country Club, only a 10 minute taxi ride from the marina. 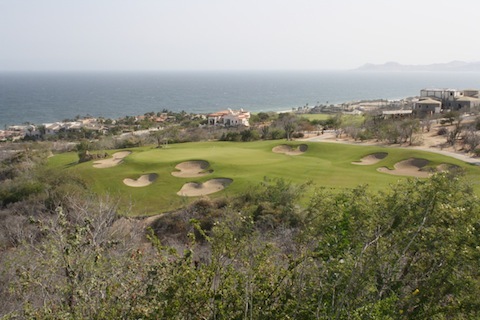 Next up is Cabo Del Sol with two courses – Desert and Ocean- about 20 minutes away from the Marina by taxi. From there the courses are spread out in the corridor between Cabo San Lucas and San Jose del Cabo. The selection includes Cabo Real, Pamilla, and Club Campestre. 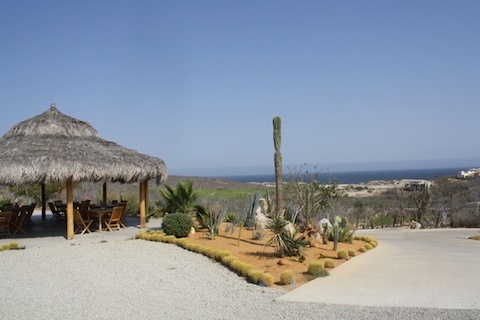 Punta Sur is a nine hole course located right in San Jose del Cabo and Puerto Los Cabos is on the other side of San Jose. 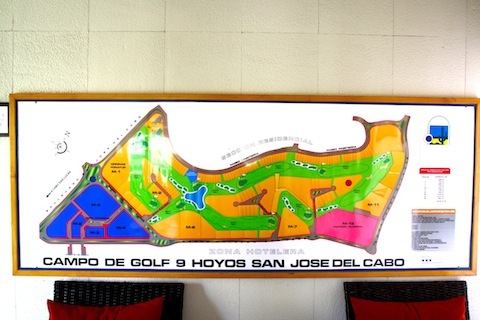 There are also several private courses in Cabo. Most so private that they would not let you in without an appointment. This would include Diamante, El Dorado, La Querencia and the upcoming Quivira. 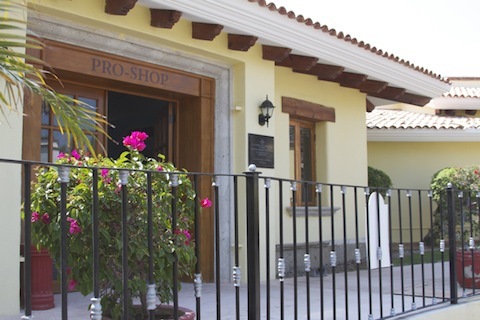 When you first arrive at one of Cabo’s golf courses, you’ll head to the club house. Here you’ll check in and get all of the information you need. There are also tees, golf balls and clothing for sale. Many of the club houses in Cabo have dining facilities. You can grab a bite to eat or even meet friends for a meal. High quality rental equipment is available at all of the clubs and can range in price from about $35.00 to $65.00. They usually feature recent models of either Calloway or TaylorMade clubs and offer both right and lefthanded sets. Several have women and kid’s clubs as well. 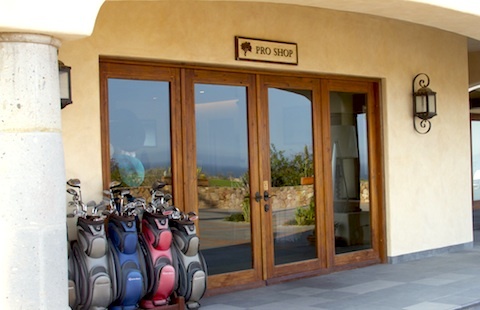 Most of Cabo’s courses have pros on staff. 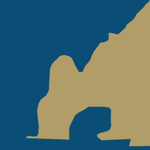 They can give you great information about the courses. On our stop at Club Campestre we met the golf pro Federico Vaughn. 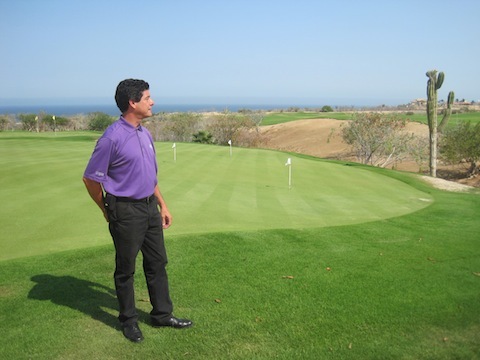 He was very helpful in giving us some background on golf in Cabo as well as the three courses owned by Questro Golf – Club Campestre, Puerto Los Cabos and Cabo Real. Before your round, make sure to get some practice putts in and get comfortable with the green speed. All of the golf courses in Cabo have driving ranges. 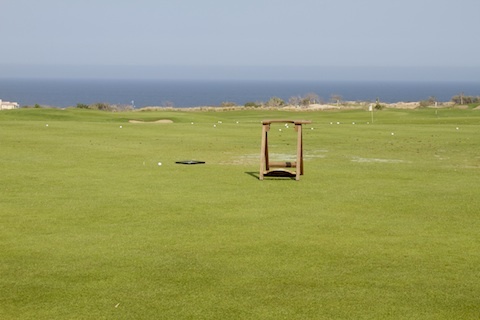 At most Cabo golf courses, the use of the driving range is included in your green fee. 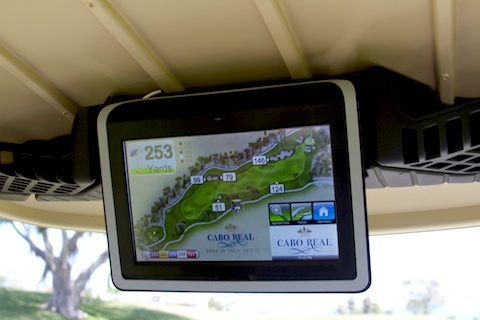 Many of the golf carts are outfitted with GPS systems that can tell you your distances, give you tips on how to play the holes and keep your score. 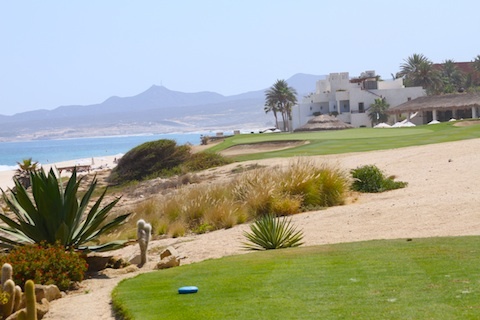 Golf in Cabo can be hot and dry and most courses provide plenty of water included with the carts. If you didn’t stock up before hand, there is always a beverage and snack cart circling the course. Once you get out on the course, you’ll experience everything from stunning ocean front holes to sweeping views of the Sea of Cortez. 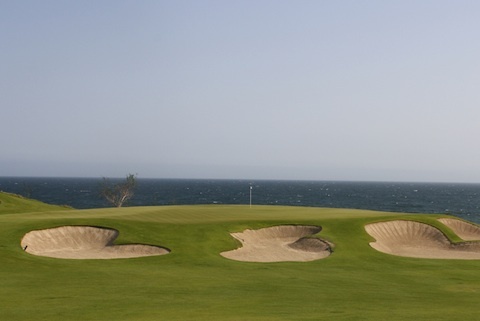 Cabo Real, Cabo del Sol Ocean Course, and Palmilla Ocean all have holes directly on the Ocean. 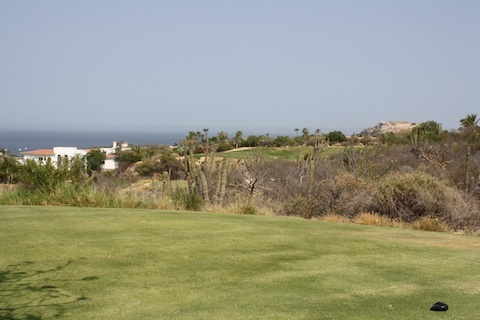 Many holes incorporate Cabo’s local flora and landscape. You’ll find many cacti, arroyos, trees and flowering bushes. Some holes also have views of Sierra de la Laguna mountains, which border Los Cabos to the north. 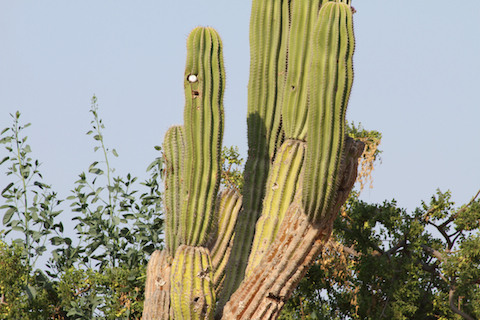 You might even get your golf ball stuck in one of the giant cacti that dot the courses. Many golfers in Cabo try this just for fun. 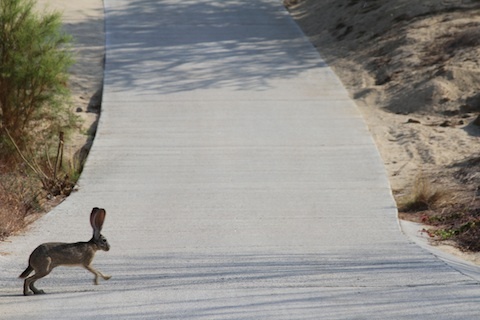 You can encounter various wild life while golfing in Cabo. You’ll see everything from rabbits and desert chipmunks to many types of birds. Occasionally you’ll even have a whale sighting. During the 1996 PGA Senior Grand Slam, several whales stole the show as they breached just off of the water front holes at Cabo Real. Since most of the courses were designed by the who’s who of golf architects, we were not surprised to find many spectacular holes. Jack Nicklaus, Greg Norman, Pete Dye, Tom Weiskopf and Robert Trent Jones Jr. are all represented in Cabo. It should be noted that the Pamilla will soon be the home of the first International PGA Tour Academy. The club pro Jason Vallog has been in Cabo for a while and was a wealth of information about this program. You can check pgatourexperience.com for details. Our favorite hole was number 6 on the Greg Norman designed course at Puerto Los Cabos. A par 3, it measures 213 yards from the back tee and has 7 sand traps. 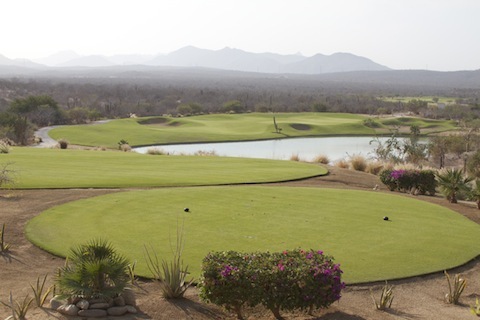 You have to hit over a large arroyo with the sea of Cortez as a panoramic back drop. as many courses as time will allow. Unfortunately this visit was all work no play. Whether your preference is desert golf, golf with ocean views or a little of both, you will find every challenge here in Cabo. We can’t wait until we return to Cabo to play as many courses as time will allow! What’s your favorite course to play in Cabo?